The Constitution forbids federal officials from receiving emoluments from foreign governments without the consent of Congress. It also prohibits the President from accepting any emolument from the federal government or any state other than his official salary. But what does the word “emolument” mean? Three federal lawsuits against the President may ultimately turn on this question, as could possible impeachment proceedings in Congress. This lecture will discuss the original meaning of “emolument” and its implications for President Trump. Drawing on a wide range of historical evidence, it will argue that when the Constitution was ratified, “emolument” was a flexible term that generally meant “profit,” “gain,” “advantage,” or “benefit.” It was commonly used to refer to advantages or benefits of different types, including government salaries, interest on a loan, and the profits from ordinary market transactions. Even though President Trump promised to remove himself from control over the day-to-day operations of the Trump Organization, he continues to receive profits and advantages from foreign governments without congressional consent. Moreover, these governments have been supplying his businesses with emoluments precisely in order to curry favor with him. As a result, the president arguably has been violating the Constitution since the moment he took office. It remains to be seen, however, whether any attempts to bring a halt to these violations will succeed. Professor Mikhail has been a Visiting Scholar at Stanford Law School, a Visiting Junior Scholar at the Peter Wall Institute for Advanced Studies, a Teaching Fellow at the John F. Kennedy School of Government, and a Visiting Professor at the University of Zurich. His research has been featured in Science, Der Spiegel, Boston Review, Prospect Magazine, Discover Magazine, The National Law Journal, and other media outlets. From 2011 to 2013, Professor Mikhail served as Associate Dean for International and Transnational Programs. 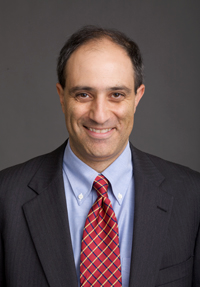 Currently, he is Associate Dean for Research and Academic Programs at Georgetown Law.